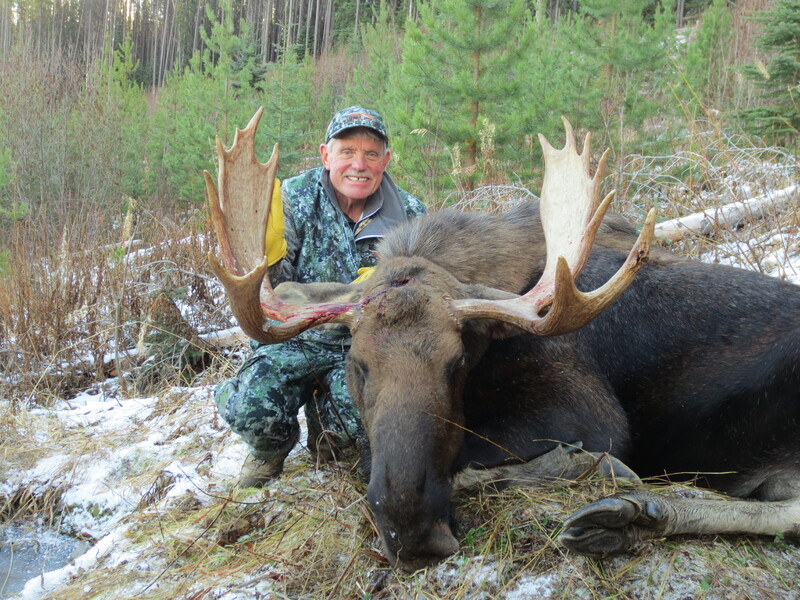 Our Shiras moose season is October 1 – November 30. It is a 7 day hunt. In November we are hunting by truck and snowmobile or four wheeler. It is great if we can track them in the snow. 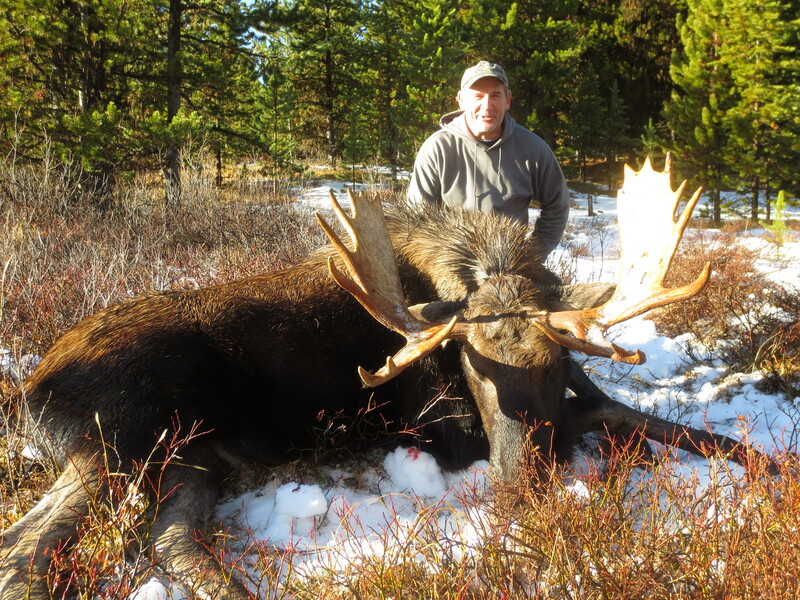 The last two weeks in November is the prime time because the moose are coming out of the back country because all the snow is pushing them down. So there will be many moose together. Our moose rut in October so we can call them in. In October we like to do the high country hunt. The high country hunt is a 6 hour horseback ride. The cabin sits at 7000 feet. You can expect a 35 – 50 inch moose. We have been 90% success over the last twenty five years.